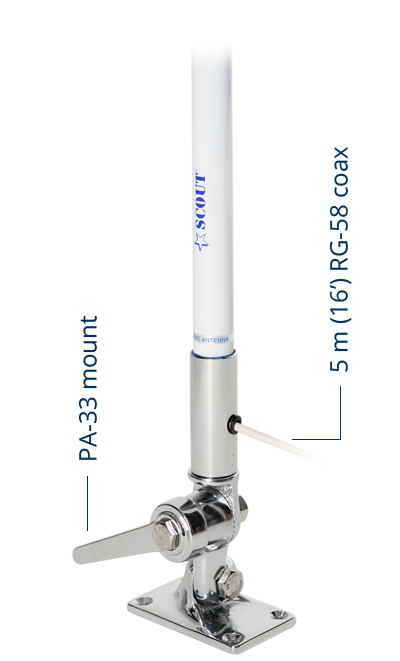 The classical 2,4 m (8’) VHF marine antenna has been totally redesigned by Scout to set a new benchmark in terms of reliability and performance. 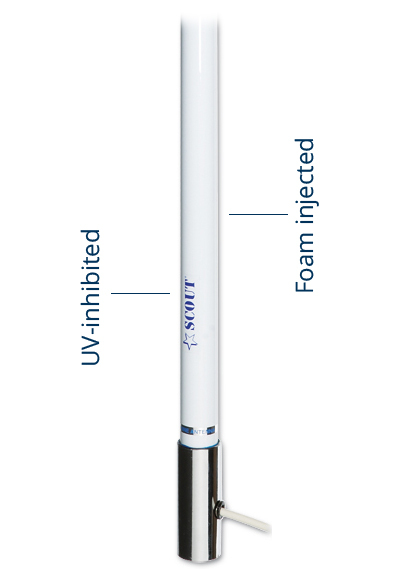 The KS-42 is built with a heavy duty 1,5 mm thick fiberglass whip that gets fully foam injected with the special Scout 100% waterproof technique, and it’s ice white colored with high gloss anti-UV filter to prevent color deterioration. Standard thread 1” x 14, chrome brass ferrule. Suggested for medium and big size boats.